Found within Canada's most famous national park, this elegant hotel feels like a cabin in the wilderness. The oldest national park in Canada, Banff National Park is a bucket list destination for Canadians and visitors to Canada to get up close and personal with the mighty Rocky Mountains and its iconic wildlife like elk, deer and big horn sheep. And there’s a place to luxuriate in the midst of it all. 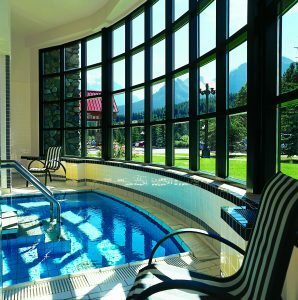 The Post Hotel & Spa, originally known as the Lake Louise Ski Lodge when it opened in 1942, features 93 guest rooms and suites, a fine dining room and an aquatic facility with saltwater pool, steam room and whirlpool. 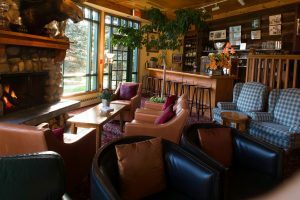 A Relais & Chateaux property since 1990, the Post Hotel features a variety of accommodations beyond the main lodge rooms, including three one-bedroom cabins, one two-bedroom cabin and Watson House, a 3,000 square foot, two-story lodge on the Pipestone River, which sleeps 10. Less than 10 minutes from the shoreline of Lake Louise and five minutes from Lake Louise Ski Resort (the hotel has a free shuttle so that you can head to the hills), the Post Hotel’s location is found deep within the boundaries of Banff National Park. It’s an easy roadtrip to nearby popular sites: it’s two hours east to Calgary, three hours north to Jasper National Park or 40 minutes south to soak in the warmth of Banff Upper Hot Springs or wander Banff’s quaint downtown. 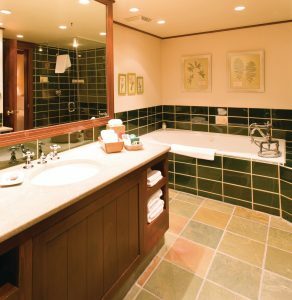 Couples wanting to escape the big city for a wilderness weekend with opulent amenities will appreciate the pool area and treatments offered at the hotel’s Temple Mountain Spa. Families will benefit from the variety of accommodations such as the two-story suites, the ability to reserve connecting rooms and plenty of outdoor distractions year-round. With 15 room options, you’ll have a nice view of the nearby creek or mountain forest, and the cosy rooms are decorated in neutral tones punctuated by forest green, exposed timber and oversized wood furniture. The room we stayed in was an M Suite, a two-story suite with a twin bed, sitting room with patterned club chair, love seat, flatscreen TV, wood-burning fireplace, wilderness photography on the walls, an outdoor deck overlooking the creek and full bathroom on the main floor. A flight of stairs led to the loft level with a king bed and full bathroom with whirlpool tub surrounded by deep green subway tiles. A nook under the loft stairs featured a coffeemaker with both coffee and tea as well as a small fridge and an oversized wood coffee table, perfect for board games. All TVs included a built-in DVD player and the hotel has an extensive library of DVD movies to borrow as well as a conventional library with books to enjoy while on property. Hybrid Devinci Bicycles are available and free of charge for those who want to get active, and there are plenty of other options to choose from: four golf courses are less than an hour from the hotel and local summer activities such as guided hikes, whitewater rafting, horseback riding, fishing and rock climbing are nearby. In winter, you can consider snowmobiling, cross country skiing, snowshoeing tours or skating on the hotel’s ice rink located right outside the lobby. The Sir Norman Lounge offers a relaxing place from early afternoon to post dinner to lounge around with drinks by the fireplace, while the sophisticated main dining room offers classic European cuisine featuring Albertan dishes such as Tartare of Alberta range-fed Angus beef tenderloin, Alberta heirloom tomatoes with Buffalo mozzarella and Alberta range-fed bison tenderloin. On weekends, hearty pub fare can be enjoyed at The Outpost Pub or indulge in the afternoons with daily English afternoon tea in the lobby serving a selection of teas and pastries. In the warmer months, guests can enjoy tea service on the patio and lawn areas. Our white wines are stored behind glass in a partitioned off, slightly colder storage area. Fondue Stubli, open every evening, is a welcoming 24-seat dining room, dedicated to all things fondue. You can choose from alpine favorites such as cheese or meat fondues paired with Swiss wines. And do save room for the indulgent Swiss chocolate fondue. 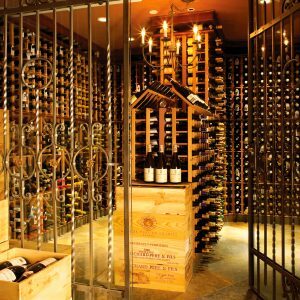 The hotel also boasts a wine cellar with over 25,000 bottles in inventory (guest tours are available) and is one of only four Canadian restaurants awarded with The Grand Award from Wine Spectator magazine. Every year, the Post Hotel’s Wine Summit is a three-day indulgence in all things wine. The hotel also hosts winemaker dinners. 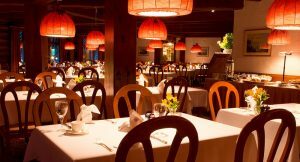 The elegant main dining room is elegant with a quiet atmosphere and is not really suited for kids. Other spaces in the hotel are a better fit for the little ones to exhaust themselves out so that mom and dad can enjoy that well-earned dinner. 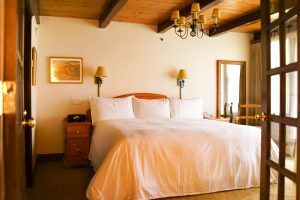 A standard king size room with fireplace and mountain view starts at CA$580 ($445) per night. 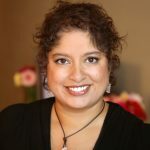 Waheeda stayed as a guest of the hotel. The hotel did not have editorial approval.